'Watching the Cowboys game is such a tradition on Thanksgiving Day,” said Thomas Rhett. “It’s all about being together with family and friends, but this year is going to be a little different for us. I’m pumped that we get to pack up the whole family to go to Dallas for the halftime show…it’s going to be blast and helping do it for a good cause makes it even better." Watch Thomas Rhett reveal himself as the halftime performer. Thomas Rhett recently released his third album LIFE CHANGES (The Valory Music Co.), the biggest, boldest-sounding record of his career, filled with a diverse batch of songs united by the "consistency of their craft” (Variety) as he stretches his sound to new limits. Highlighting his “detailed style of songwriting” (Rolling Stone), the new release debuted at No. One on the all-genre Billboard 200 chart, marking the first Country release to take the top spot in 2017. The “expertly assembled” (All Music) album is garnering early attention, earning his ninth career No. One with his fastest peaking single yet, the GOLD-certified "Unforgettable." He recently received three CMA Awards including Male Vocalist of the Year along with Musical Event Of The Year and Music Video of the Year for the No. One GOLD-certified lead track “Craving You” and is currently nominated for an AMA Award for Favorite Country Male Artist. 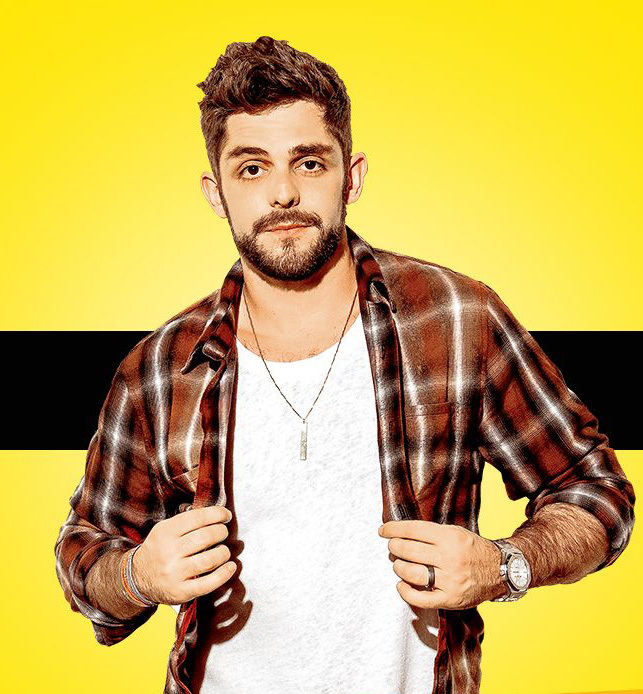 Thomas Rhett has earned major trophies from the Country Music Association, Academy of Country Music, Billboard Music Awards, CMT Music Awards and more while also drawing GRAMMY Award, American Music Award and iHeartRadio Music Award nominations, among others. In April, he will launch his LIFE CHANGES TOUR 2018. For more information and a full list of upcoming tour dates, visit www.ThomasRhett.com.